Accurate distance measuring, position detection, and anticollision: Symeo will be presenting their comprehensive portfolio of versatile and highly available sensor solutions at the TOC Europe 2010 exhibition. The solution provider employs a range of different measuring methods - individually or in combination - to enable consistent position detection and distance measuring even in difficult terminal areas. At their exhibition booth A34, Symeo will also be showing their new LPR system operating in the 61GHz band. 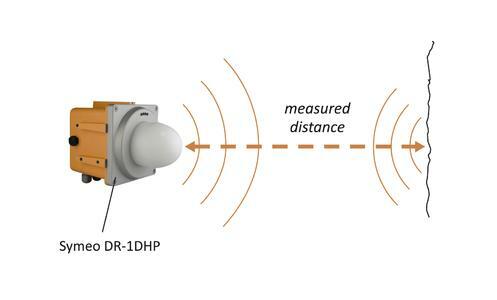 This system can not only measure the distance between two of its units but also the distance to any desired object. Symeo has now also set new standards for cost efficiency and easy installation with their LPR-1DXi product line. 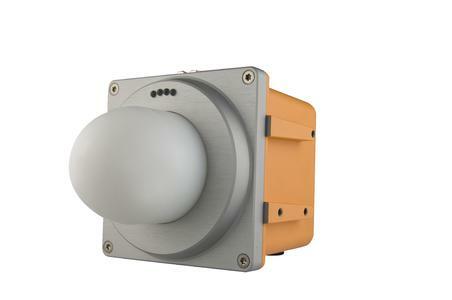 Both the transmitter and the antenna of these distance measurement sensor modules are integrated into a single, compact casing. This year, Symeo will again be attending the TOC Europe exhibition, to take place in Valencia, Spain, to present their broad portfolio of reliable, accurate sensor components and fully configured systems for consistent distance measuring, collision alerting and position detection. 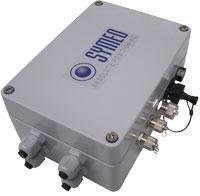 Depending on the given local conditions, Symeo solutions use either the company's own, radio based LPR (Local Positioning Radar) system, or proven GPS technology, or both methods combined. Additional sensor technologies (incremental sensors) are available for particularly difficult terminal areas. All position data are made available in a uniform way via standard interfaces irrespective of their source. Symeo sensor solutions do not depend on the vehicle type used and can be integrated into existing IT system in a most simple and flexible way. This enables straightforward use of the position data for a broad range of warehouse visualisation, goods movement control, area security or collision avoidance applications. Moreover, Symeo solutions can also provide access to vehicle and crane sensor data in addition to their own position detection data. Container sizes, load weights, or load pickup and setdown detection data can be output using the Symeo data protocol, for instance. The solutions make it possible to deliver information serving for further logistic optimisation to higher level terminal operating systems (TOS) in realtime for analysis, along with the position data. 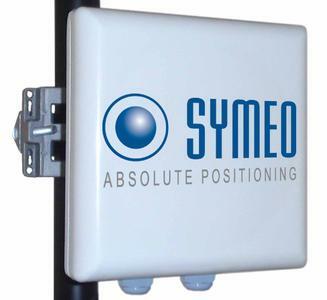 Overall, by way of the versatility and reliability of their distance measuring and position detection solutions and their straightforward connectivity to IT Systems, Symeo enables terminal operators and their system integrators to achieve high efficiency increases. All the technology provider's sensor system solutions work contactless and without using contamination sensitive and maintenanceprone laser technology. Taking the role of an experienced partner, Symeo supports users, software solution providers, and hardware integrators worldwide with advice for selecting the best suited sensor system solution. Solutions from Symeo have proven their excellent value in industrial deployments. 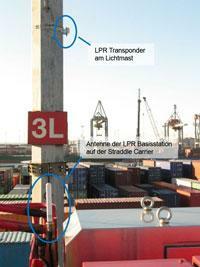 Examples include maintenancefree, radio based Symeo LPR sensor systems in use on straddle carriers, reachstackers and empty container handlers at the Burchardkai container terminal of the Hamburg seaport (Hamburger Hafen und Logistik AG - HHLA) as well as Rail Cargo Austria's Wels container terminal where Symeo D-GPS sensor systems (differential GPS) reliably record the positions of the terminal's reach stackers and gantry cranes. In both terminals, Symeo makes sure that the respective parent IT systems are supplied with highly accurate position data in a reliable way via standard interfaces. Symeo LPR systems are wellknown for their flexibility and their reliable, accurate functioning under adverse environmental conditions. 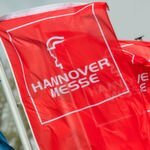 "We have come to offer a broad range of sensor systems for optimising container terminals that can easily be combined to meet the most diverse requirements. With the new LPR-1DHP and DR-1DHP systems, we now have extended our product portfolio to highly accurate 61GHz based distance measurement systems. In seaport environments in particular, our LPR technology demonstrates its unique virtues", Christoph Rommel, general manager of Symeo, emphasises. "It operates contactless and maintenancefree and resists precipitation, strong wind, dust, and contamination. Apart from its reliability, what is most important to us is that the systems can easily be integrated into an existing vehicle, crane, and IT environment and also can be used independently from the container handling vehicle or crane in use." In the Symeo LPR family, the 61GHz sensor is new this year. This system can not only measure distances between two units but also determine the distance to any object, just like an ultrasonic module. This makes it an ideal choice for anticollision between ships and shiptoshore cranes. At the same time, the 61GHz systems offer substantial advantages compared to ultrasonic sensors: a far greater range and the high accuracy and reliability typical for Symeo systems even in bad weather and wind, and across large distances. 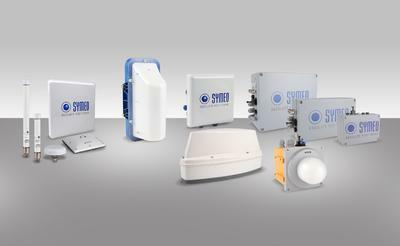 Furthermore, in introducing their LPR-1DXi product line, Symeo has now set a new standard of costefficiency for accurate 1D distance sensor systems. The great advantage of this economically priced, robust system lies in the fact that it combines transmitter and antenna in a single, compact casing (7.5 × 7.5 × 3.2 in), eliminating costly cabling. Also, the Symeo LPR-1DXi's features focus on essential functionality: Not every collision protection needs precision down to the centimetre, and for this reason, the radio sensor pair's basic version does not provide measurements but rather responds to an easily adjustable threshold value. Nonetheless, the new LPR-1DXi product line delivers uncompromising performance: Its range extends to 500m, and its accuracy reaches down to 5cm, depending on the chosen configuration. Apart from the modules' compact design, the included Symeo-Wizard software for parametrising them via a USB interface also makes for simple and rapid installation. In addition, one module's settings can be radio transmitted to the other module of the pair of sensors to save commissioning time. For more information, please visit us at our booth A34 at the TOC Europe 2010, or go to www.symeo.com. Symeo develops and markets products and solutions enabling accurate and contactless position detection for vehicles, cranes, and objects, for distance measurement, as well as anticollision systems. Symeo's products are of robust design and are suited for applications in rough industrial environments. Symeo offers Local Positioning Radar (LPR®), a radio based, realtime capable absolute measuring system ideally suited for industrial applications. Symeo has years of experience in developing costeffective and custom industrial solutions based on LPR technology and combining LPR with other contactless sensor technology (e.g., optical systems, inertial sensors, GPS). The company provides system integrators, original equipment manufacturers (OEMs), and users the world over with standard products and complete solutions.